Hi all! 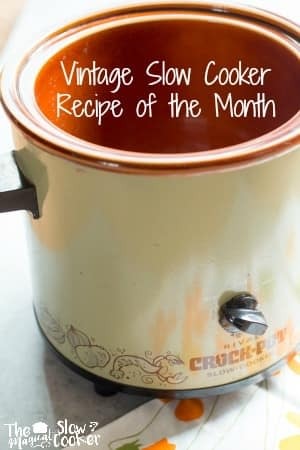 I’ve decided that I really enjoy themes here on the blog after the Vintage Slow Cooker Recipe of the Month went over so well. I am now going to do a Freezer Slow Cooker Meal of the Month as well. 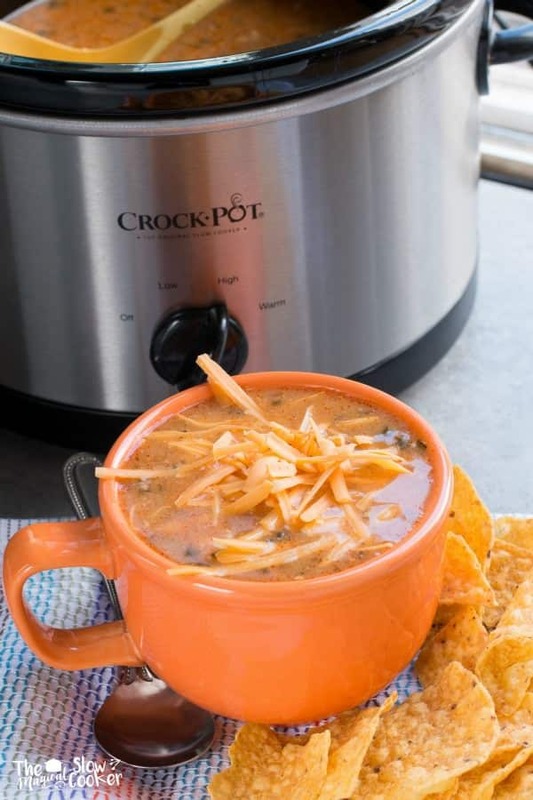 My first recipe is Slow Cooker Chicken Enchilada Soup. 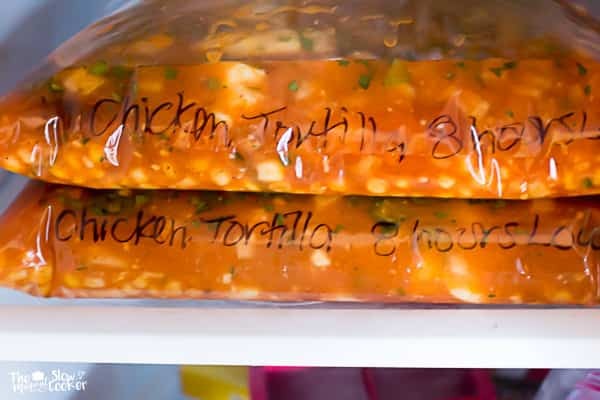 If you have tried freezer meals for the slow cooker, you may know that they don’t all turn out well. That’s why I am going to dedicate one of my recipes a month to a tested freezer meal. Meaning I am going to freeze a slow cooker recipe before I cook it, then a few weeks later thaw, and cook it. I’ve seen many freezer meal marathon posts on the internet, most don’t tell how the meal tastes weeks later. That’s what I am interested in. I don’t care if a freezer meal saves time, if it tastes like garbage after it has been in the freezer. I’d rather eat tuna helper. Anyway on with the recipe. All that is needed to get this meal on the table after it cooks is a little cheese, and tortilla chips. How easy would that be after work?! The two photos below are what the meal looks like 3 weeks after being frozen, then thawed and cooked on low for 8 hours. Below is my YouTube video on how to make this recipe. You can follow me on YouTube, here. Easy soup reicpe that can be a freezer meal if desired. Place everything into a 6-quart slow cooker and stir. Cover and cook on Low for 8 hours without opening the lid during the cooking time. Write the name of the meal, date and cooking time on the very bottom edge of the a gallon size Ziplock bag. 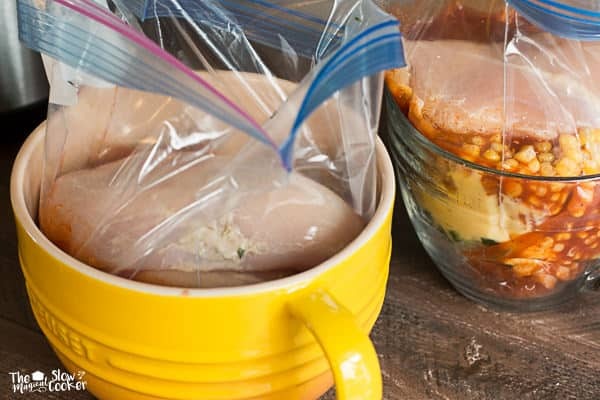 Place the ziplock bag into a tall large container, fold down the lip of the bag so the zip part won't get food all over it. Add the ingredients into to the bag in the order shown. Pull the bag out of the container and squeeze all the air out before sealing. Place flat in the freezer. Freeze for no longer than a month for best results. 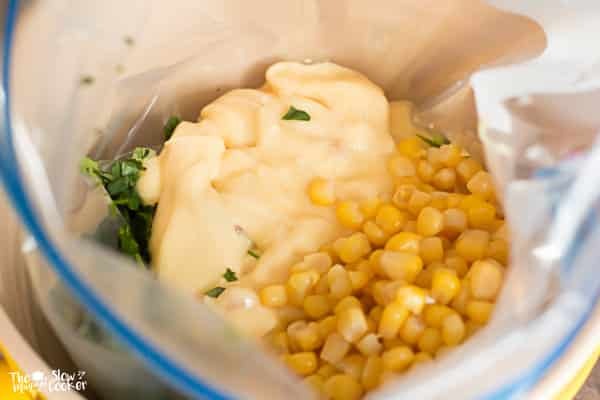 Place the freezer bag in the fridge to thaw 24-48 hours before you are ready to cook. Cook according to directions above. Nutrition facts are approximate, please use your own calculations if you require a special diet. Toppings are no included in nutrition. I hope you enjoy this freezer friendly recipe! Come back next month and I will have another slow cooker meal that will be freezer friendly! Love how easy this recipe is. Is it frozen with the broth added as well? This is such a great idea! 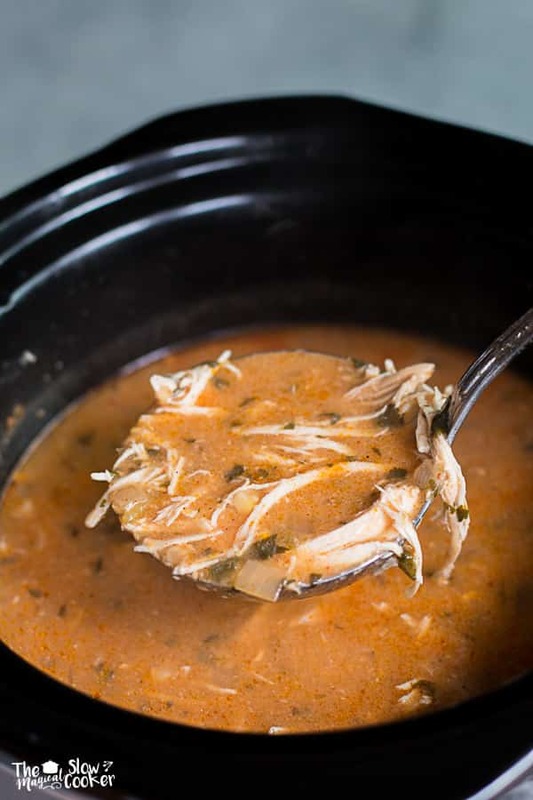 I have never tried the freezer recipes for the slow cooker, so I am glad to see you testing them out. 🙂 This soup looks delicious- even after been cooked 3 weeks after freezing! I absolutely agree with you! If something doesn’t taste yummy it really doesn’t matter how convenient it is! Your soup looks delicious. 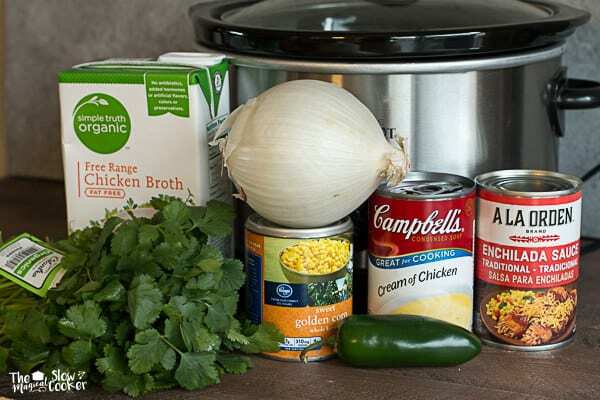 I like the freezer slow cooker meal ideas but would like to see more recipes from scratch that go beyond open a can of this and open a can of that. This was a good recipe. I did put a can of black beans and some taco seasoning in it. And if it feels too spicy, just squeeze a little lime in it. Tastes amazing! I added black beans and served over rice. This is now one of our staples!